Motorcycles has free access to the Limited Traffic Zone. Locanda Colosseo is located in a limited traffic zone, via Cavour, the road is passable only from Termini Station at Via dei Serpenti (150 meters away from us), and is bounded by the area of Rione Monti is the LTZ. 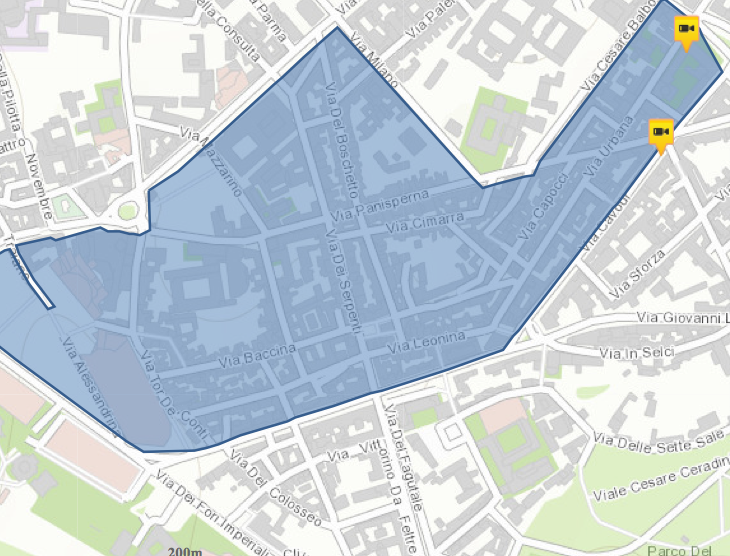 The cost of Parking on Via Cavour in the areas bounded by blue lines, is 1.50 € per hour.